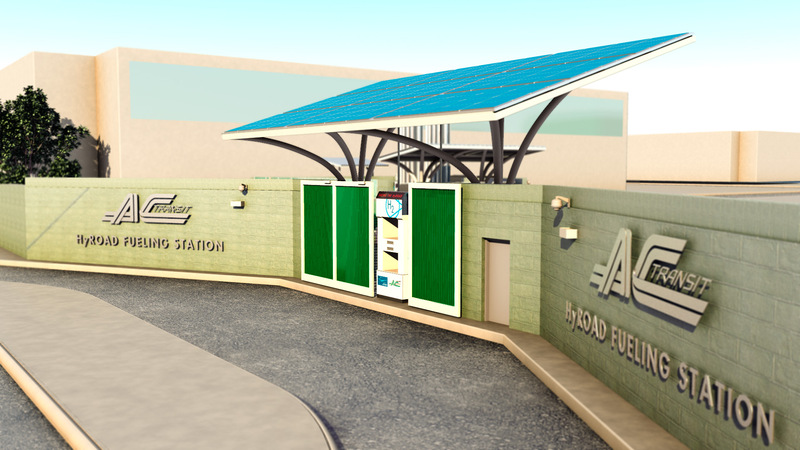 AC Transit and Linde North America needed a way to show the inner workings of their unique state-of-the-art Hydrogen fueling station to the public. Neumatic was chosen to create the fully animated fly through of the station demonstrating all of its elements and processes. We built all the 3D elements from the ground up, modeling, texturing and animating the entire sequence to flow as a seamless piece. The animated video is displayed at the station as an educational tool for the media and public. 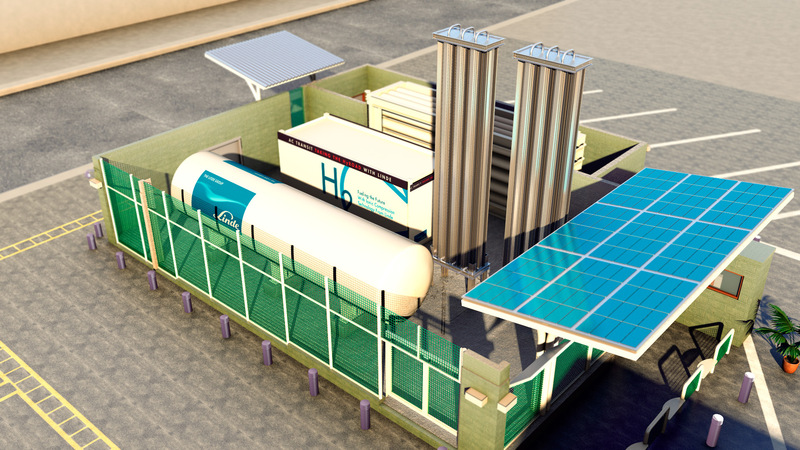 This animated demo of the working of the hydrogen station in Emeryville, CA needed to be as accurate as possible. The video is shown to the media and on educational tours to explain how the system works. Due to the educational purpose we wanted to provide realistic renderings of all the moving parts. 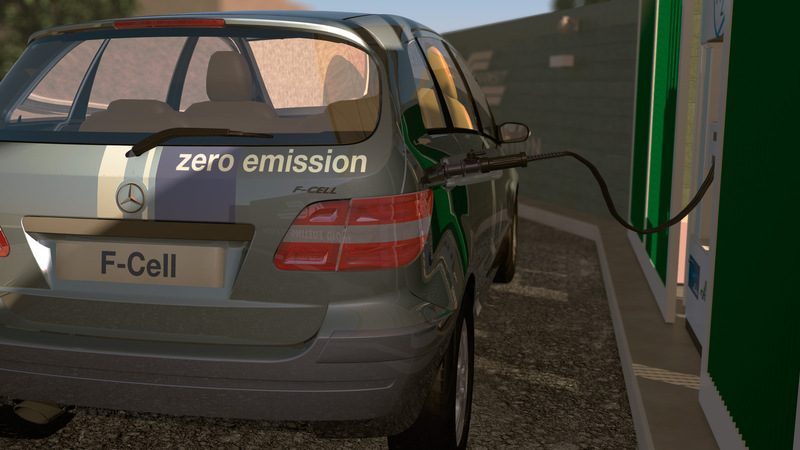 We worked with the various suppliers to the system, Linde North America, Mercedes Benz, Van Hool and AC Transit to ensure the renderings were as accurate as possible. 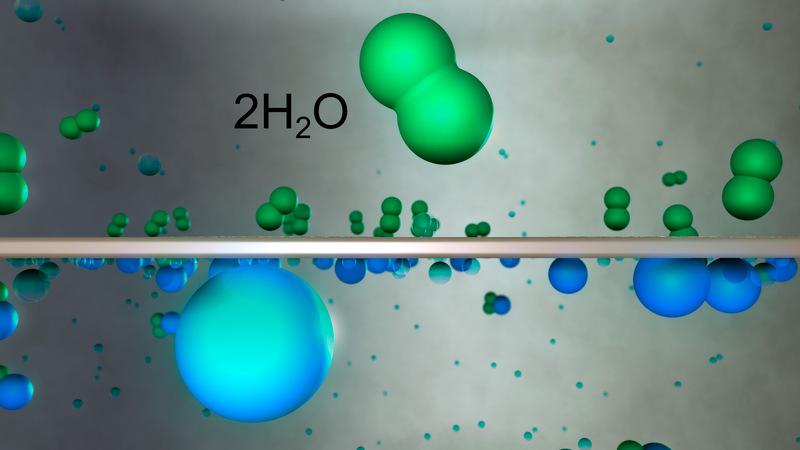 Animating the hydrogen system and the way the materials moved from one system to the next was essential to explaining how the station functions. 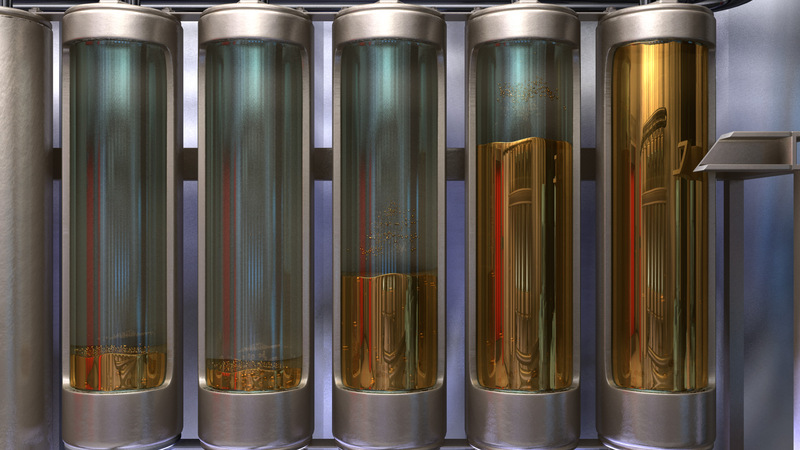 The liquid hydrogen can be seen flowing through tubes and into various machines and processes. 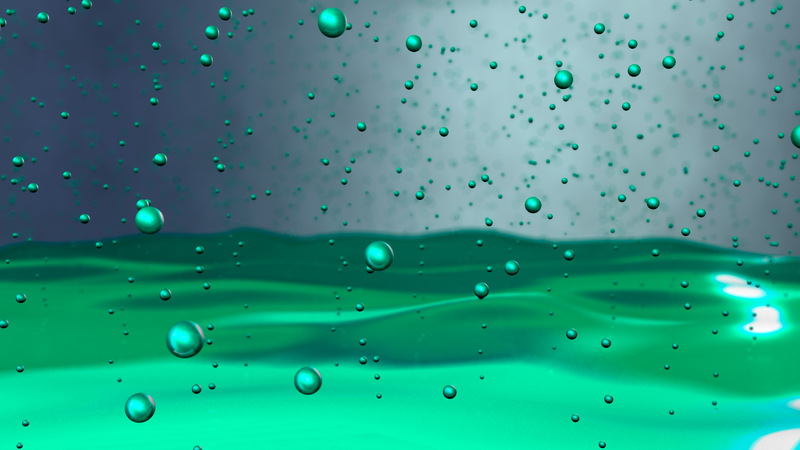 The animation takes the viewer from the macro to micro level seeing the hydrogen in liquid form and then pushing into the micro level and seeing the hydrogen as individual atoms working in the system.